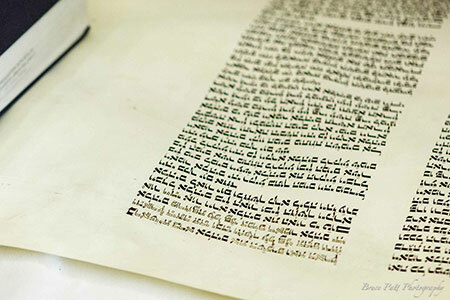 Congregation Beth Shalom welcomed a new Torah into our Ark in 2013. See how we made this dream happen. 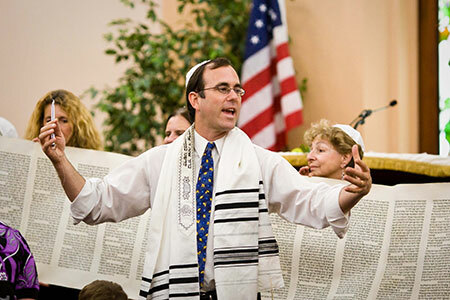 We offer several different, lively Shabbat services. Join us next Friday! 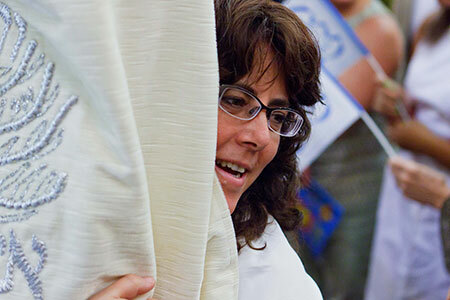 Our co-rabbis are vibrant, exciting teachers. Come find out why we love our Rabbis! Welcome to Congregation Beth Shalom! 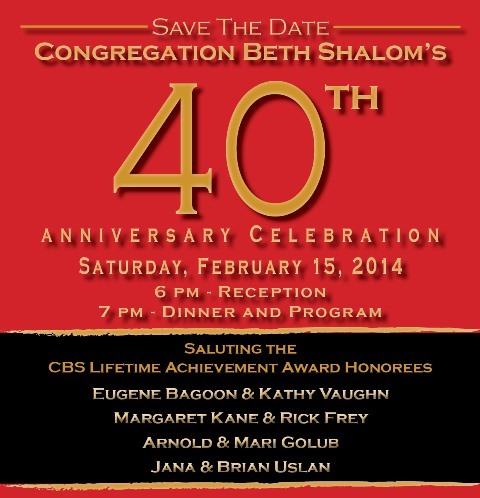 Join us for an amazing celebration in honor of Congregation Beth Shalom’s 40th anniversary and to salute four outstanding couples who will receive the Lifetime Achievement Award. Click here to place an ad in the Tribute book and learn more about the upcoming event. Click here to view the flyer. 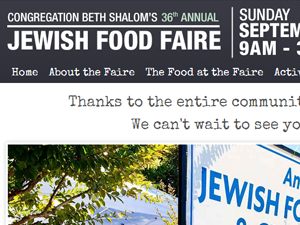 36th Annual Jewish Food Fair - A Resounding Success! The 36th Annual Congregation Beth Shalom Jewish Food Fair was an amazing success. More than 1500 people attended the Food Fair and Crafts festival held on September 22, 2013. The CBS community rallied in support of the fundraiser as well as continued our tradition of sharing recipes from past generations. A huge thank you to our committee chairs, the 2013 planning committee, the bakers and chefs and the more than 100 CBS volunteers who made this day possible. We also want to thank all those that attended the event. We look forward to seeing you next year! Like us on Facebook and see some photos from the event. In an age when we are inundated with opportunities for distraction from essential issues by the latest tweets and youtubes on the antics of celebrities and sports stars, when we are overwhelmed by the administrative details and the minutiae of daily life can wear us down, it is instructive to see that Dr. Seuss could balance lighthearted children’s books with penetrating political cartoons. He was haunted by the war in Europe even as he could write Green Eggs and Ham.